Human rights experts* from the ASEAN Intergovernmental Commission on Human Rights (AICHR) call on urgent action by ASEAN to develop a ‘whole-of-ASEAN approach’ in cooperation with Myanmar to deal more effectively with the human rights and refugee crises emerging from Rakhine State to bring peace and the rule of law, and to promote harmony and reconciliation between the various communities in Myanmar. 23 April 2018 – The Indonesian and Malaysian Representatives to the AICHR have called on Leaders of the Association of Southeast Asian Nations (ASEAN) to urgently identify more effective measures and practical steps to fulfil ASEAN’s commitment to bring peace and the rule of law, and to promote harmony and reconciliation between the various communities of different backgrounds, ethnicities and religions in Myanmar. Such action is critical to strengthen human security and stabilise the region. The call comes after boats ferrying refugees, mostly women and children, originating from Rakhine State were intercepted by several ASEAN Member States on the 3rd, 6th and 20th of April 2018. There were reportedly others who were not so fortunate to have survived the journey. More boats from Rakhine State are expected to make their way to neighbouring countries in the coming months. The Representatives noted that the United Nations High Commissioner for Refugees (UNHCR) and the International Organization for Migration (IOM) have been assisting survivors of human trafficking and smuggling across the region. They have also identified the increasing vulnerabilities of communities in Myanmar given the perceived erosion in the rule of law and the disruption of fundamental social and economic systems. Reports on the planned repatriation of refugees from Bangladesh back to Myanmar have also raised concerns over possible further violence given that there have been no visible effective steps to address the root causes of the crises in Rakhine State. The Representatives commended the ASEAN Coordinating Centre for Humanitarian Assistance on Disaster Management (AHA Centre) in doing what it can to help provide relief to those affected. They highlighted that the problem must also be considered from a human rights perspective for a sustainable end to the crisis. “A transparent, comprehensive, on-the-ground, needs- and rights-based assessment and risk analysis must now be undertaken to not only provide aid that is comprehensive, but also to ensure effective protection for the affected communities and to provide long-lasting solutions. This would require Myanmar to open up and share information in ASEAN Meetings. Member States through relevant Sectoral Bodies will then be able to propose assistance whether through technical expertise or financial and resource aid. We must be serious if we are to end the crisis, and the problems faced by the affected peoples. To achieve this goal, Myanmar could invite the Representatives of AICHR for a visit to Rakhine. The visit would allow us to obtain a fuller picture of the current situation, and to find better ways in reaching a lasting solution,” the experts said. The Representatives further noted that the crisis seems to have generated more international discussions and concern outside of ASEAN compared to within ASEAN. 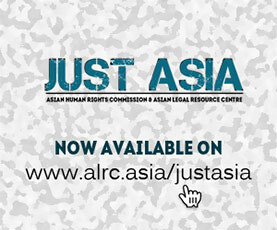 In light of the numerous commitments by all the Member States as contained in the ASEAN Charter, the ASEAN Convention Against Trafficking in Persons, Especially Women and Children (ACTIP), the Convention on the Elimination of All Forms of Discrimination Against Women (CEDAW), the Convention on the Rights of the Child (CRC) and the Convention on the Rights of Persons with Disabilities (CRPD), Member States cannot turn a blind eye to ASEAN’s international human rights obligations. The experts stressed: “Article 2 of the ASEAN Human Rights Declaration 2012 (AHRD) states that every person is entitled to the rights and freedoms set forth in the AHRD without distinction of any kind, such as race, gender, age, language, religion, political or other opinion, national or social origin, economic status, birth, disability or other status. The Phnom Penh Statement on the Adoption of the AHRD reiterates ASEAN and its Member States’ commitments to the Charter of the United Nations, the Universal Declaration of Human Rights, the Vienna Declaration and Programme of Action, and other international human rights instruments to which ASEAN Member States are parties as well as to relevant ASEAN declarations pertaining to human rights. “These commitments should be translated into action by ensuring coordination and cooperation of all relevant ASEAN Bodies to positively contribute to ending the crisis. Myanmar should allow ASEAN to play a bigger role like it did in the aftermath of Cyclone Nargis. For example, Myanmar could invite the Senior Officials’ Meeting on Health Development (SOMHD) to strategically deploy health officials and facilities from Member States and the international community to support the Government’s relief, recovery and reconstruction efforts. Unhindered humanitarian access and assistance could also be facilitated in addition to establishing ‘model neighbourhoods’ as safe spaces for all who need them. The Representatives further noted that internal efforts within the AICHR over the years have been made to raise the issues but unfortunately, no consensus has been achieved. However, it is encouraging that at least there are indications of interest to share information on the situation. “We have exhausted the possible avenues presently available within the AICHR. Time is precious. We can no longer sit by idly even for one day while the crisis continues, or we will eventually have to account for the AICHR’s collective silence. As Representatives of the AICHR tasked by the AICHR’s Terms of Reference, we, as individual Representatives, make this joint statement in furtherance of our impartial discharge of our duties to promote and protect human rights in the region. With this, we sincerely hope that the ASEAN Leaders will consider our recommendations, and keep the AICHR informed and aligned on the inside track with plans to handle the crisis in Rakhine,” the experts concluded. * The experts: H.E. Associate Prof. Dinna Wisnu, Ph.D is Indonesia’s Representative to the ASEAN Intergovernmental Commission on Human Rights (AICHR) and H.E. Mr. Edmund Bon Tai Soon is Malaysia’s Representative to the ASEAN Intergovernmental Commission on Human Rights (AICHR). They can be reached at the following email addresses respectively: dinnawisnu@gmail.comand ebon@amerbon.com.